Signed by not only the veterans committee of the St.Nazaire Society but also by the artists Grandfather who participated in the raid. 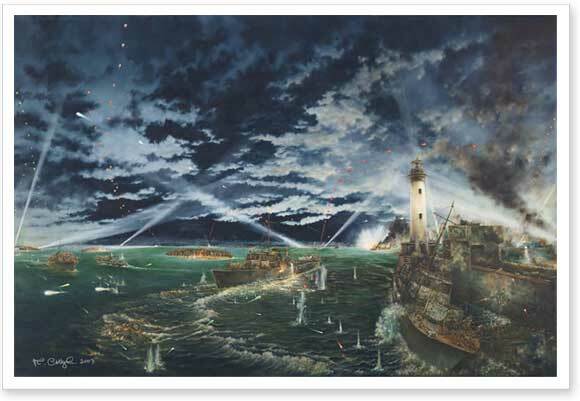 The original painting was a comission by the St.Nazaire Society and was presented by them to the town of Falmouth from which place the raid was carried out and to where the surviving veterans returned, it now hangs within the Municipal Gallery and as part of the Town Mayor's Gallery. 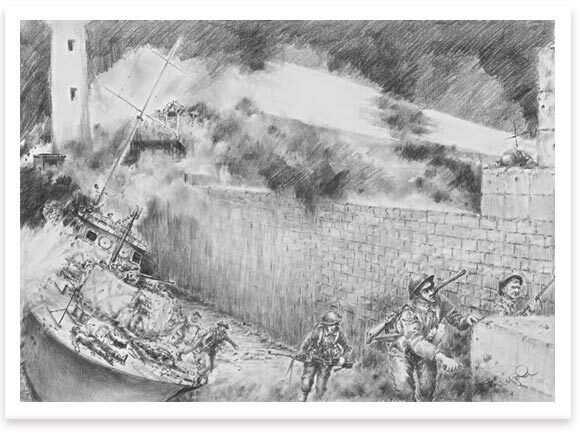 A free companion print accompanies the picture of the commandos landing at the Old Mole itself (shown below).